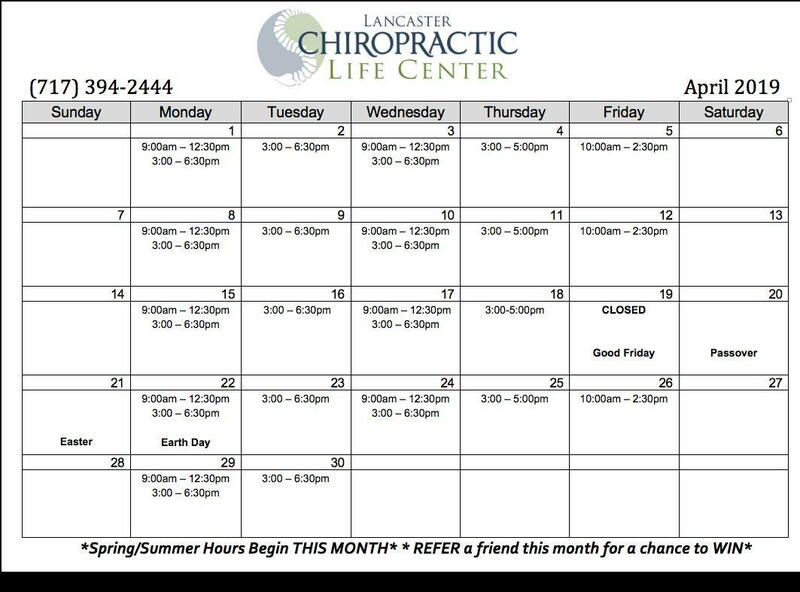 Our Spring/Summer hours will begin this month! We will be OPEN THURSDAYS 3-5PM instead of Saturdays through the summer months. Please note we will be CLOSED Friday, April 19th. We are trying to use the Remind App, for office closures or other important announcements. We know there will be some days in June that we will need to be closed that will most likely not be scheduled and we think text messages are more readily checked and will be way to keep in touch in these situations. Facebook is always a good way to stay updated as well! During the month of April, each time you refer someone to our office, you will be entered for a chance to win a gift basket full of spring goodies. Check out the basket at the front desk for what you could win! Although antibiotic treatment has been a medical main-stay of treatment. Recent concerns for overuse of antibiotics resulting in resistant strain of bacteria have led to more physicians taking a "wait and see" approach to ear infections. All of these factors have driven many parents to seek alternative care approaches for their children, of which chiropractic is the most popular practitioner-based approach. In this case, a one-year-old girl was brought to the chiropractor by her parents for an evaluation and possible care. The infant's primary problem was she was suffering from reoccurring ear infections. It was reported that over the previous five months, the girl had suffered from 4 bouts of bilateral ear infections. Each time, she had been diagnosed with otitis media and placed on antibiotics. Each time, the ear infection would seem to subside and her symptoms reduce, only to return again a month later after the antibiotic treatment was concluded. The girl's ear infections were affecting her ability to sleep and causing her to be agitated. In addition to the ear infections, it was noted that the infant girl also suffered from frequent colds, sinus congestion, and food allergies. In their discussion and conclusion, the authors of this study stress the importance that chiropractic care could play in this health issue. "Acute OM is such a common condition that it is considered one of the leading causes of visits to medical clinics and for prescription antibiotics. Despite differences in research design and disease definitions, the World Health Organization (WHO) estimated that 28 thousand deaths yearly is attributable to complications (i.e., death through meningitis and brain abscess) of OM." They concluded, "This case report adds to the growing literature on the effectiveness of subluxation-based chiropractic care in children presenting with a history of medically diagnosed OM."